A boutique bakery’s move into the Midwest arena presented Centaur with the perfect opportunity to showcase its retail and interior experience. 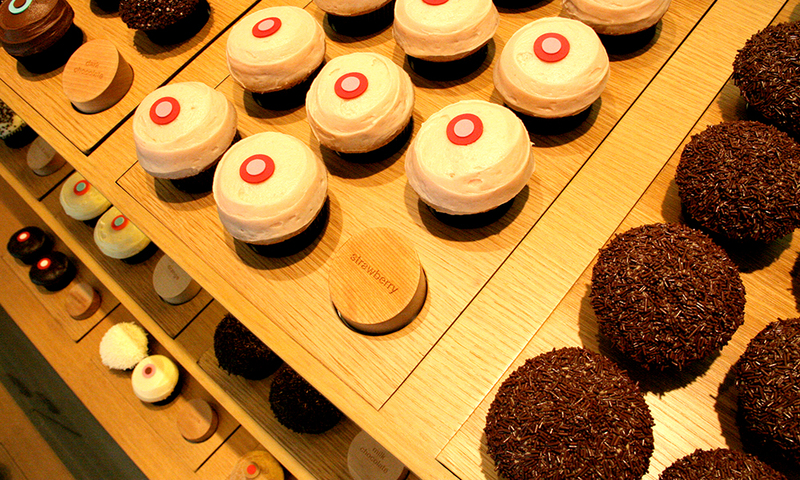 Sprinkles opted 2,300 square feet of space in Chicago’s Gold Coast neighborhood for their cupcake shop and kitchen. The architect, a l m project inc.’s design utilized over 80% of the total space for the state of the art kitchen with multiple workstations for maximum efficiency. The actual shop itself, a small but proficient one, consists of an exposed, beautifully finished concrete floor. 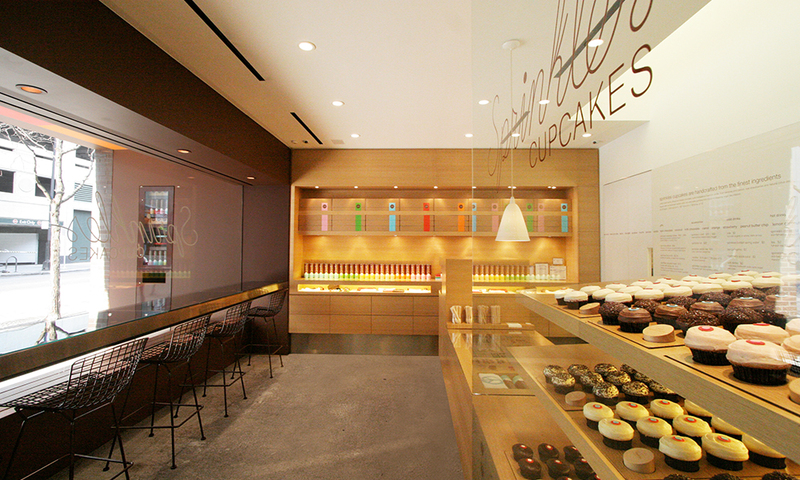 Custom millwork encases the entire west wall of the shop, much of the front counter display case and even the cupcake trays. 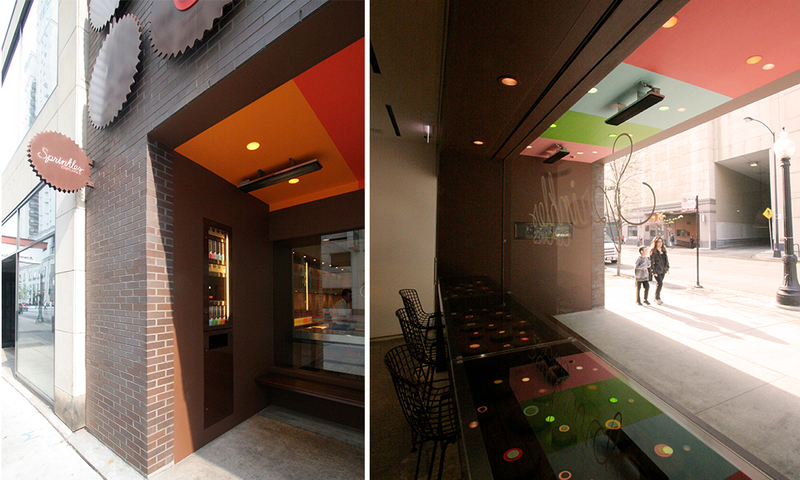 The custom painted soffit at the entrance coupled with the dual wood and metal bench allows the storefront to stand out among other retailers along the street. 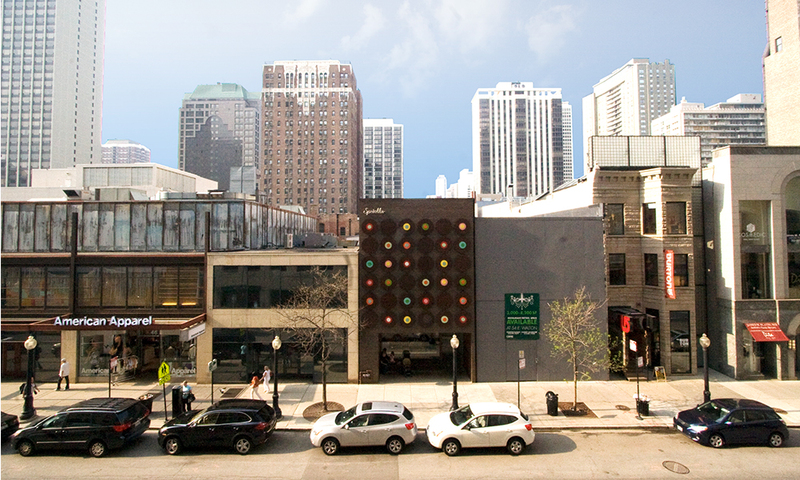 This project received AIA Chicago’s 2010 Interior Architecture Award.